Standardised to 24% ginkgo flavonglycosides and 6% terpene lactones (ginkgolides A, B et C, bilobalides). Supports healthy blood flow (microcirculation, cerebral and peripheral blood supply, capillary resistance, vasodilation). Helps to maintain cognitive function and improve performance. Sourced from a tree with famously resilient defence systems. 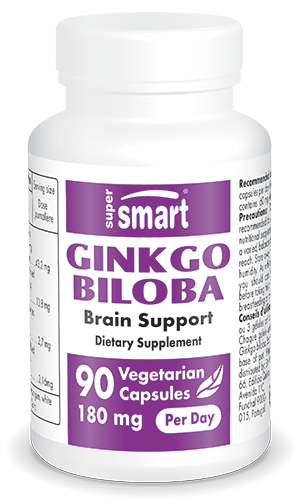 Helps improve memory, learning capacity and information-processing. Supports central nervous system function (general tonic). Has a positive effect on the hippocampus. Has been used for over 3000 years in Ayurvedic medicine. 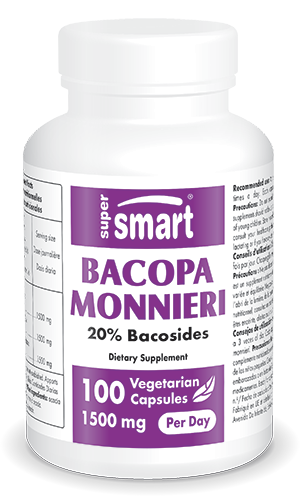 Is standardised to provide at least 50% bacosides.